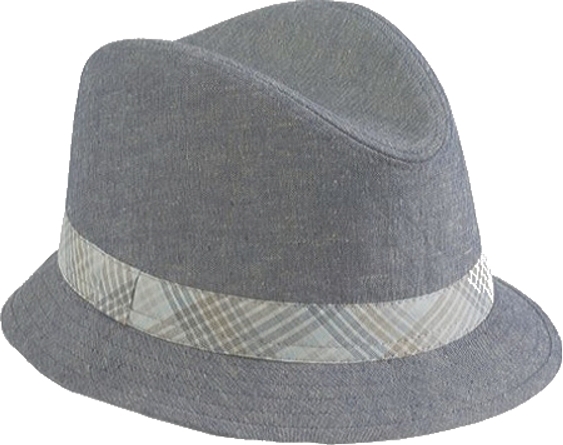 San Diego Hat Company chambray linen fedora hat with a contrast plaid band. The inner lining is the same plaid cotton as the band. Super style and top quality. The colors in the band are muted khaki, gray, light blue and white. Coordinates with our gray and khaki suits. Spot clean. 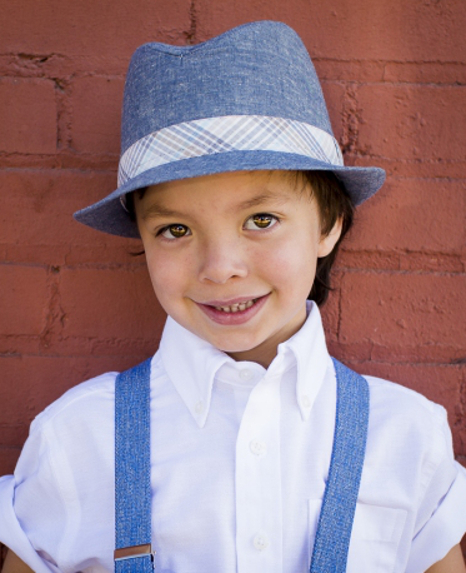 The model is wearing the Short Sleeve White Dress Shirt and Chambray Denim Suspenders. Click here to go to the suspenders. Click here to go to the shirt. Or see related items below. Hat Measurements: Toddler is 20 1/2" (52cm) and 4 - 7 years is 21 1/4" (54cm).